Ready for a quid pro quo? 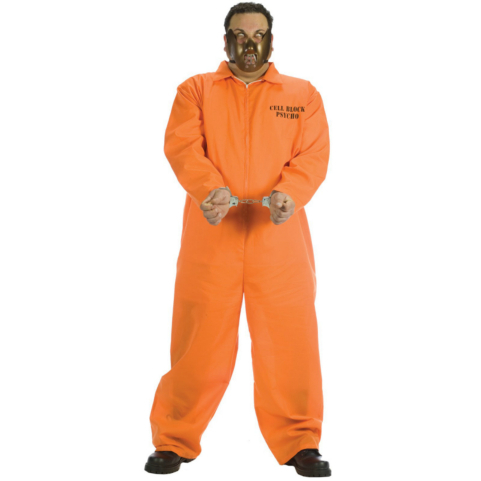 The Cell Block Psycho costume includes a printed jumpsuit, restraint mask and button release handcuffs. Whether you're plotting a great escape or planning the menu for your last supper, this costume is sure to put you at the top of the watch list! Available in Adult size Plus. 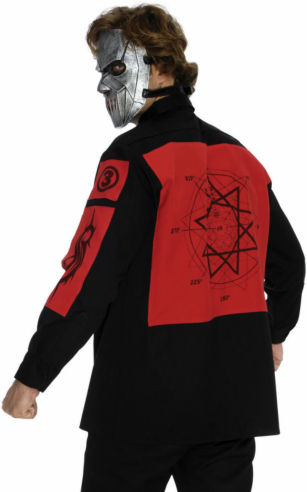 Includes: Jumpsuit, mask and handcuffs. Pair with C.S.I. Adult Costume for a criminally cute couples theme. Availability One-Size (148933) Orders placed by 4 PM CDT usually ship same day. 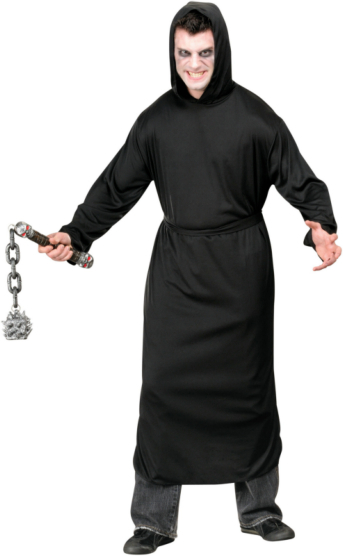 Included Accessories Mask and handcuffs. Care Instructions Hand Wash in Cold Separately. No Bleach, Line Dry, Do not Iron. Handcuffs & Mask -Wipe clean w/ damp cloth. 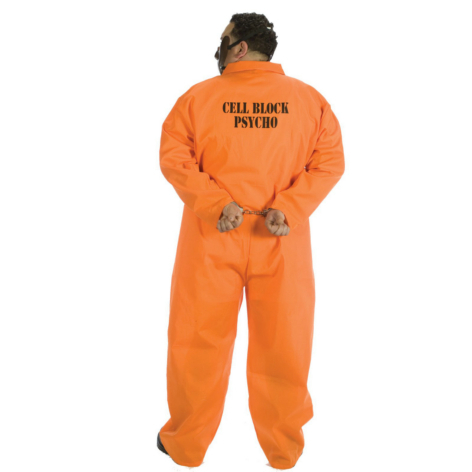 LEVER COSTUMES Cell Block Psycho Adult Plus Costume and interesting games are what make a Halloween party fun. Here are three costumes that are bound to provoke comment and laughter, and a game alled the "spook race" that fits right into the witch-ghost-goblin atmosphere of this October celebration. Dimensions for the costumes can be changed to ccommodate youngsters of different ages.